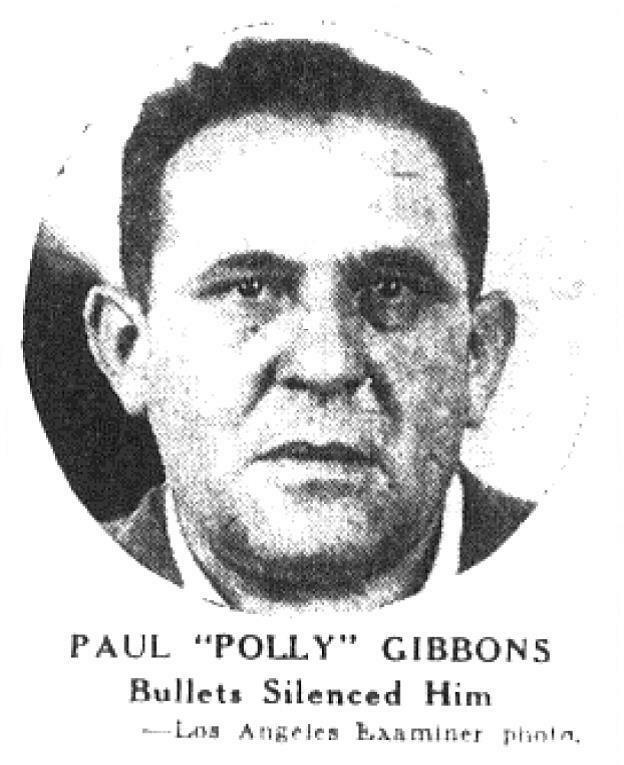 The story of Paulie Gibbons’ life typically begins with his death– on the streets of Beverly Hills on May 3, 1946– punctuated by an “amusing” anecdote about his funeral. But Gibbons’ had a long criminal career in Los Angeles dating back to his youth in the bootleg era. Paul Jack Gibbons was born in Colorado around 1903. He moved to Los Angeles with his parents- father Joe, a junk dealer, and mother Molly- and siblings at a young age. Young Paulie (also spelled Polly) soon racked up an arrest record that included burglaries and more violent crimes. In 1922 he was involved in a bold payroll holdup of a Standard Oil Co. driver, cashier and guard. A car full of bandits armed with a sawed-off shotgun and a rifle forced the trio to a stop on the North Spring Street Bridge and relieved them of some $80,000. Gibbons, still in his teens, admitted he’d been the driver. He agreed to turn State’s evidence. The rest of the gang was convicted on his testimony and sent to San Quentin. Paulie got probation but it wasn’t long before he got in trouble with the law again. 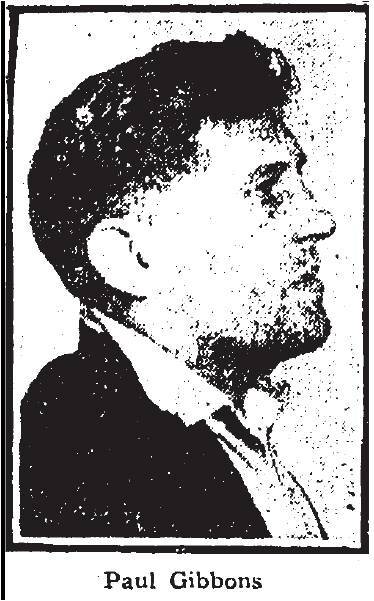 In late 1923 He was involved in what the papers loosely termed a “bootleggers war” when he and two other men were accused of breaking into 631 S. Vermont Ave. and stealing a case of whiskey along with a trunk full of clothing. Gibbons was shot in the melee that followed. 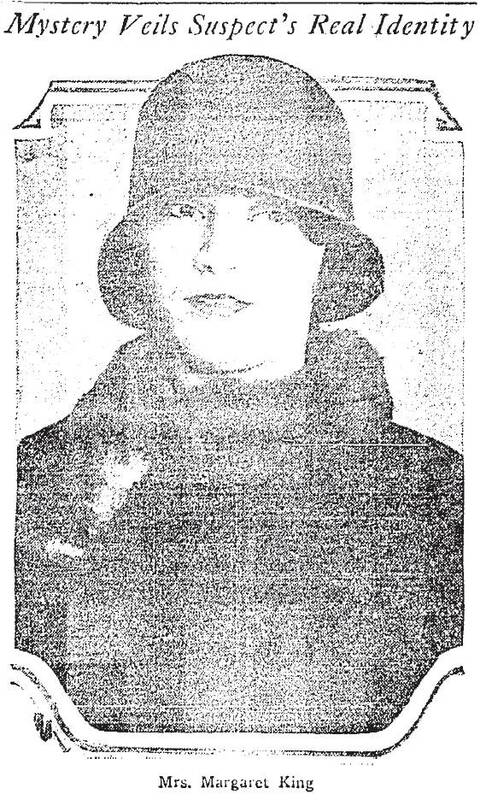 In January 1924 the police announced that young Polly Gibbons was returning to his native Denver, vowing to “go straight.” It was either that, or face a stretch in San Quentin. Perhaps. But young Polly was back in Los Angeles by September 1925 (if he ever really left at all) and that December was called as a witness of the shooting death of a man by an alleged bootlegger. On the stand, Gibbons recanted his earlier statements to police and was cited for perjury. Using at least two aliases, Joe Miller and Eddie Hainer, Gibbons continued down the crooked path. It finally caught up with him in November 1932 when he was found guilty of grand theft. This time, neither his youth nor empty promises to reform could save him. Gibbons got 1-to-10 years in the state pen. 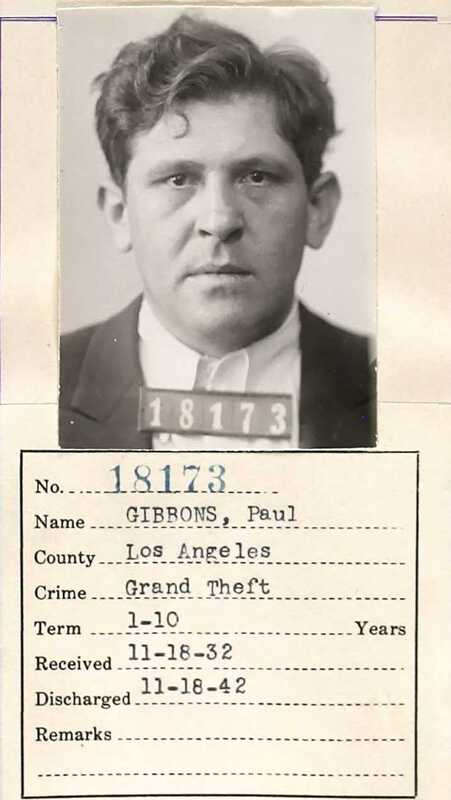 Paulie Gibbons prison mugshot. California State Archives. After his release, in 1943 Gibbons was suspected of being involved in black market activities, along with female accomplice, convicted “society burglar” Frances Krug (aka Margaret Krug, alias Margot Lux and Margaret King) but nothing came of it, although Margo did do time for receiving stolen goods. Margaret aka Frances aka Margot Krug under arrest in the 1920s. In any case, six months later, Gibbons was dead. At 2:30 a.m., May 2, 1946, Gibbons was returning home, 116 N. Gale Dr., Beverly Hills, just off Wilshire Blvd. He parked his “expensive sedan” and was crossing the street when gunmen in a car intercepted him, pumping 5 shots into the little bookmaker. Gibbons staggered down the street a few paces then collapsed. One of the shooters got out of the car, went to Gibbons and lifted him into a kneeling position. As Gibbons screamed “Don’t kill me! Please don’t kill me! Help! Help!” the gunman fired twice more, then “calmly” walked back to his car, the usual black sedan, and drove away at a leisurely pace. 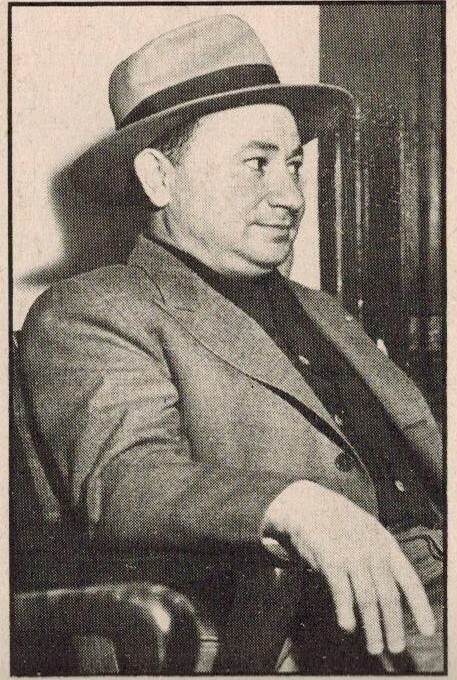 Beverly Hills chief of police Clinton H. Anderson questioned several suspects that morning, including George Levinson, a neighbor and alleged pal of Gibbons, and Mickey Cohen. Cohen initially denied knowing Gibbons and was released. 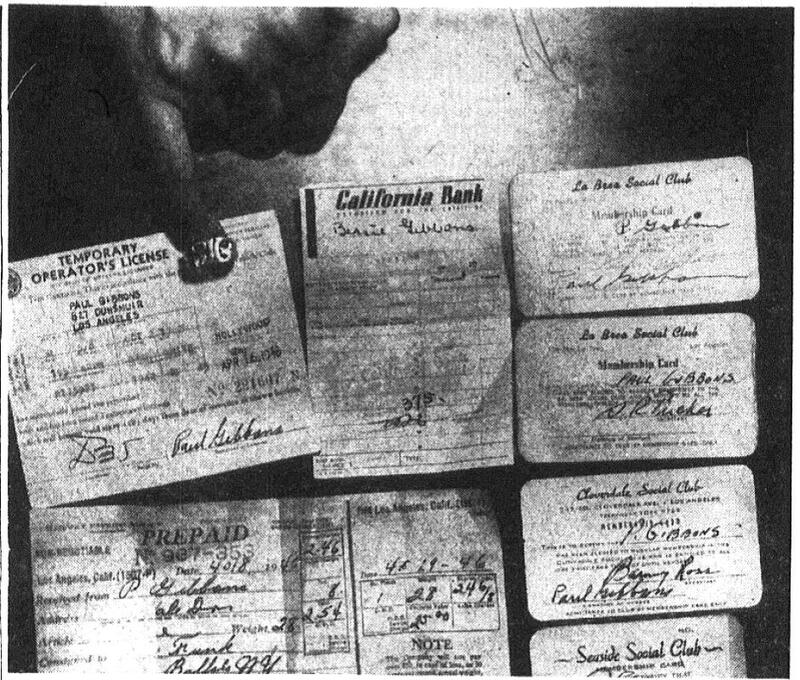 Anderson brought him back in on May 4 later after membership cards to the La Brea Social Club were found in the dead man’s wallet. Someone also belatedly recalled the November 1945 arrest. Cohen talked to police but ultimately wasn’t held. Reenactment of the Gibbons shooting, 5-3-1946. Gibbons’ La Brea Social Club membership card and other ID. LA Examiner. By that time, BHPD had a suspect in custody: another “social club operator” and alleged former associate of Gibbons, Benny Gamson, known as “The Meatball” or “Little Meatball.” Police were informed that Gamson and Gibbons had had a heated argument more than a year ago, during which Little Meatball had been heard to threaten Gibbons. However, Gamson, too was released after three days of questioning. Margaret Krug, who had been living with Gibbons as his common law wife, was in New York at the time of the shooting. Questioned on her return to Los Angeles, she could offer no information to aid in the investigation. Chief Anderson attended Gibbons’ funeral service on May 5, just to see who showed up. As he would later relate in his 1960 memoir, Beverly Hills is My Beat, a box of roses was delivered to the funeral, with a card inscribed “To My Pal.” The box turned out to contain not roses but horse manure. Gamson was hailed into jail again on May 29 after officers discovered his bullet-sprayed automobile. Gamson told conflicting stories as to how the six bullet holes got there and generally stonewalled investigators. He was let go. Four months later, both Gamson and Levinson were dead, shot execution-style outside their Hollywood apartment much like Gibbons on October 3, 1946. The triple deaths would be recalled in June 1947 after the murder of Benjamin “Bugsy” Siegel in Beverly Hills. None of the crimes were ever solved. 1. Gibbons’ birthdate fluctuated over the years as it suited him; his death certificate lists it as October 3, 1903. 2. According to LAPD records referenced in Cohen’s FBI file, Gibbons was suspected in a burglary at Cohen’s home on March 15, 1946. Cohen was in jail at the time on a charge of failing to register as an ex-convict. He was released on March 26, 1946. 3. In some eyewitness accounts, there were two men. 4. In My Own Words As Told To Peter Nugent. Cohen waits no ink on Gibbons but does discuss Gamson.